» Forum » Tech » Tech: Generic » Williams Taxi - I'm new and need some guidance! » Williams Taxi - I'm new and need some guidance! Williams Taxi - I'm new and need some guidance! Hello! I recently acquired a Williams Taxi as my first ever Pinball Game!!! Wooo!! While I have a decent collection of arcades, this is my first venture into Pinball (and I am scared!). My 'Taxi' has a couple of things that I need fixed and I am unsure as to where to begin. For starters, the display(?) is only partially working. The bottom half works, but the top half does not. Where would I begin trouble shooting to try and get that back? Alot - "Sounds occur for approx. 8 minutes......"
Less - "Sounds occur for approx 2 minutes"
With my display only partially working, I navigated to "AD44" but the only options my credit button gives me is "on/off" -- does anyone know what I am missing!? Looking forward to spending more time around here and getting to know everyone!! Welcome to ownership! It's not as scary as you think, even though a pin can look overwhelming to a newbie. There are so many great people here that can help you and so many websites with tons of info as well. It's a process, you will pick up the repair aspects slowly, one piece at a time until things start to make sense. One step at a time. I don't have any experience owning a Taxi, but it is a fantastic first pin. Someone will chime in soon with game specific help. I just wanted to say hello and welcome. I'll get you some good websites in the morning, but I'm turning in right now. Good luck! Congratulations on your first game, and Taxi is a great one! I checked my manual and it has the same three settings you found (alot, less, none). But like you discovered, Ad 44 only allows me to choose on/off. Perhaps the manual is referring to a previous version of the game with more settings. I'll leave suggestions about the display problem to more knowledgeable Pinsiders. With display and sound problems, I suspect you have some battery corrosion on U41 and U42 on the big CPU board that is below the battery holder. Can you post a picture of the board? pinballmaniac40 Certainly! Here you go. I can definitely see a "greenish" hue on them, I tried to get it the best I could. Thanks. That's a bummer, the part that baffles me is that when I listen to an attract mode on YouTube its considerably different than mine. Mine is very short. You have corrosion that needs urgent attention. Read up (search) here about how to do it or send the board out to a professions for attention before it's too late to repair. The battery alkaline can be neutralized with and acid like vinegar, but that's a short term solution. Send it off to be professionally cleaned up and have nvram installed as well. Then no more worries about alkaline damage. Parts that were affected by the battery alkaline need to be replaced as it gets inside the parts too, not just on the legs. There is some pretty heavy corrosion above the battery holder. Any suggestions as to who would repair this board? ChrisHibler would be happy to evaluate it. I just got my boards back from him and am really pleased. I would definitely recommend him. Thank you both for the recommendation! I sent him a PM and am eager to get them out! In the meantime, I ordered a flipper rebuild kit to begin tackling that project! Welcome to the hobby!! 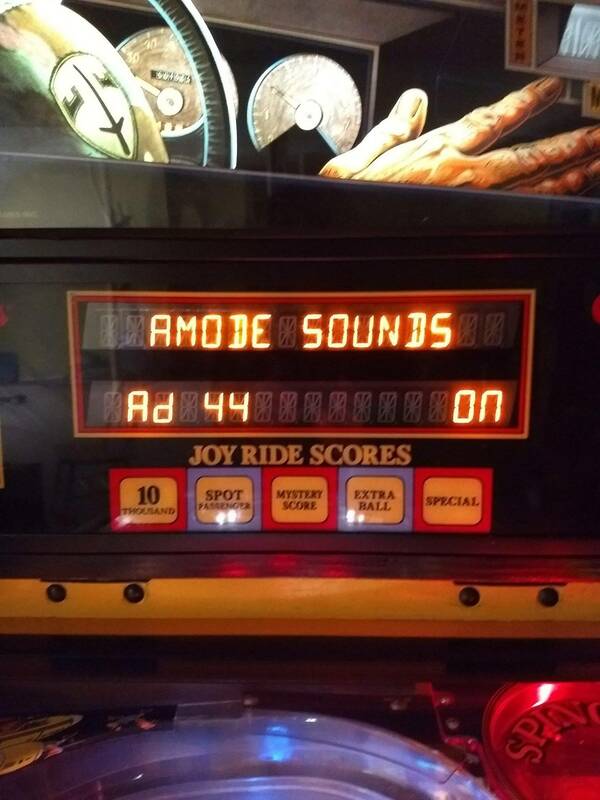 Sorry to hear you are having problems with your first game. I hope you got a good price on it. Was the battery corrosion disclosed before you bought the pin? If not, you may want to contact the seller. Did you buy it from someone on pinside? Hopefully, you got a smoking deal on it to make up for this problem. If you paid full price, or worse got it from a dealer, I would try and get them to reimburse you for at least part of the repair. A dealer should definitely try to make this right. 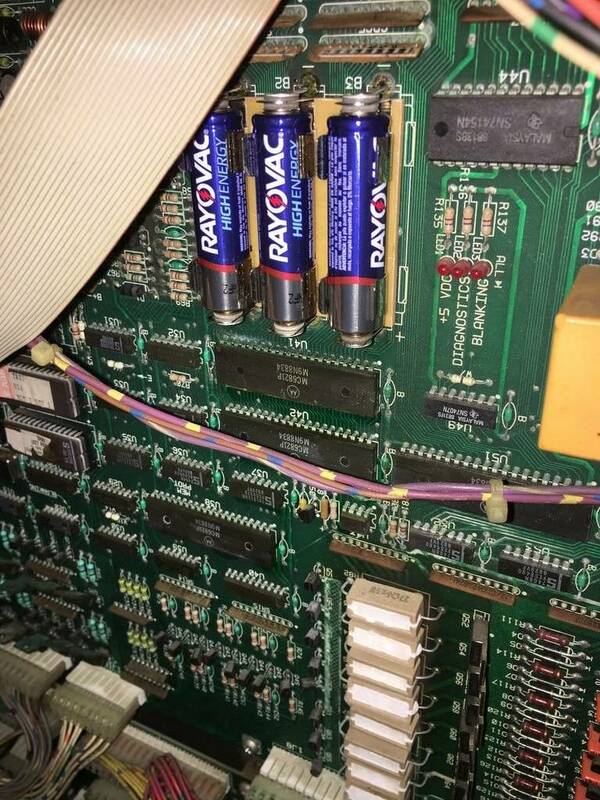 What is strange is that corrosion is above the batteries, usually it is below the batteries, due to gravity. I know that Chris will install NVRAM as well, so you will never have to worry about that again. 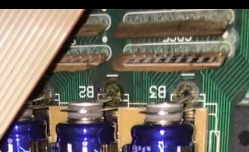 Also, I suggest changing the electrolytic capacitors on the power supply and the aux power boards. Fumes from the alkaline batteries are just as bad as the goo that leaks out of them. You Cpu board has damage from top to bottom, I sorry to say that this will cost more to repair than its worth. Your best bet is to buy a new Rotten Dog board. All the advice here is solid. Alkaline corrosion may be present and the board will still work. Unfortunately in the case of the OP's board it's almost certainly the cause of the problem. 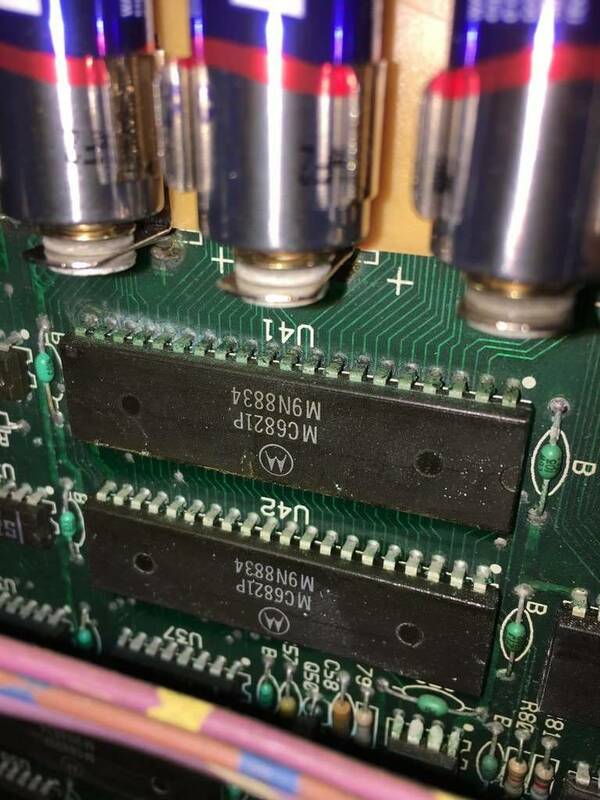 The WPC-95 CPU board shown here has bad corrosion but it still works! It's been working fine for 2 years. I (finally) just fixed it. 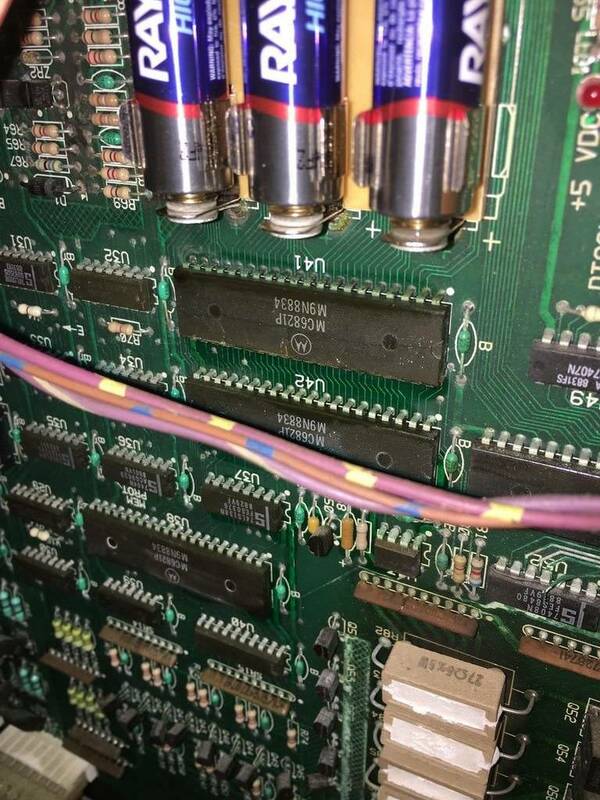 The System 11 board shows just how much work can be involved in removing all the alkaline corrosion. 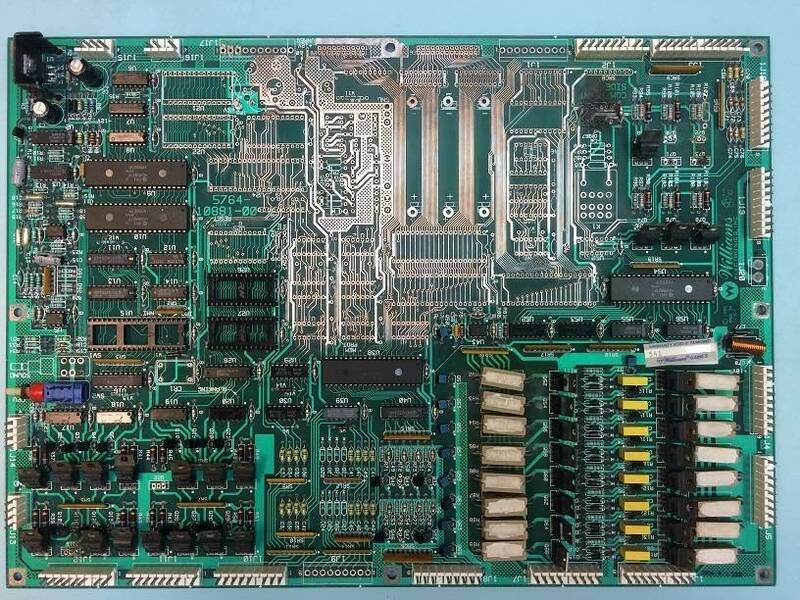 The OP's board with the corrosion at the SRCs is worse than the original state of the System 11 board shown. This repair was not cost effective (took me weeks). I did it for a friend and because it's a System 11 board and extremely hard to find at the moment. Can someone please link me to which Rottendog board I would need? I think I read there is a new one about to come out? Yep. That’s the one that you need. Sorry to be the bearer of bad news but I agree with a couple of the guys above. The alkaline corrosion is too pervasive to economically and reliably repair the board. Jump on that new Rottendog board. I hear good things about it. I'm not a fan of the Rottendog MPU's. I would post a wanted ad for an original undamaged board. Can take a while to find though. FYI. Your board is worth something to someone. So sell it instead of trashing it. Concur 100% with this. I'd be interested in that board as a repair project. 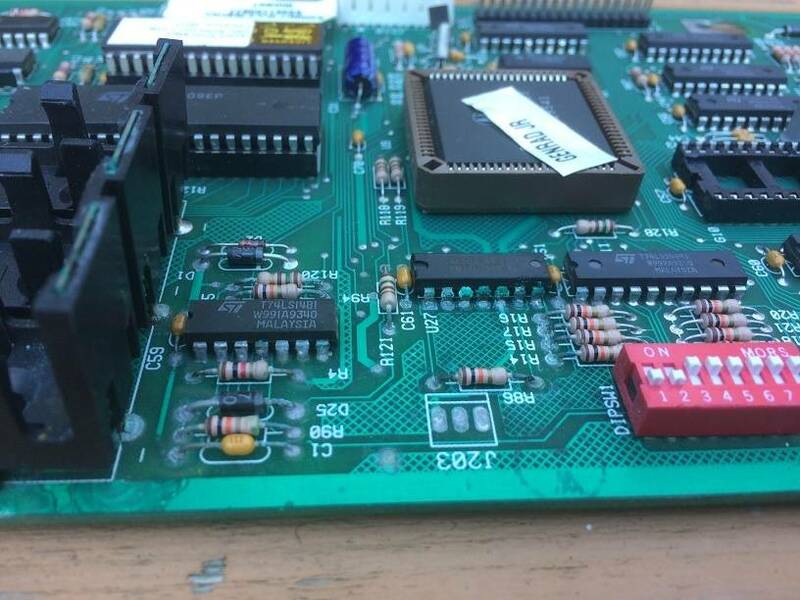 Or this parts wanted thread (https://pinside.com/pinball/forum/topic/system-11-cpu-mpu-motherboards-wanted-broken) has someone who would also be interested. i have a Taxi , that is having issues as well from battery corrosion . i have tried to clean it up with a dremel and a wire wheel .... it helped , but didn’t fix the problem . i have not sent the board off to be cleaned up ,instead i placed an order and am waiting on a rottendog board from Big Daddy enterprises . Been over a month now .... but i’ll wait . As with classic cars , keep the old part until the new repro part is installed and works ... then sell the old part or have it rebuilt and put it on the shelf or use it . just my 2 cents . i have a Taxi , that is having issues as well from battery corrosion . i have tried to clean it up with a dremel and a wire wheel .... it helped , but didn’t fix the problem. That is not a solution, components must be replaced. The corrosion migrates into the component bodies through the legs - at best you would scraping off the surface. The prior revision of the RD System 11 MPU wasn't quite right. I wasn't a fan of it either. I've talked with Todd Svec @ Big Daddy about the new board. It sounds promising.